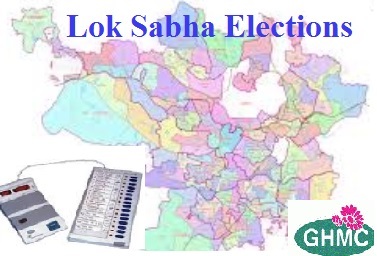 There are 5 Lok Sabha constituencies that have Greater Hyderabad area in their constituency limits. While for Medak Lok Sabha seat only one urban area i.e. Patancheru is included. Hyderabad, Secunderabad and Malkajgiri are predominantly urban constituencies. Chevella constituency is a mix of urban and rural areas. Lower voter turnout has been an issue with urban areas in previous elections. In general the voting percentage in Hyderabad urban constituencies has been lower than in rural areas. Voter ID slip is not enough to cast your vote. You need to carry any one of the following documents to be able to vote. Passport, driving licence, service identity cards with photographs for employees of Central and State governments, PSUs and Public Limited Companies, passbooks with photographs issued by banks or post offices, PAN card, smart card issued by RGI under NPR, MGNREGA job card, health insurance smart card issued under schemes of the Ministry of Labour, pension document with photograph, official identity cards for MPs, MLAs and MLCs and Aadhaar card. This entry was posted on Apr 2019 at 5:00 PM	and is filed under Hyderabad City Updates. You can follow any responses to this entry through the RSS 2.0 feed. Your Feedback Matters!